This day was all about “feet”! 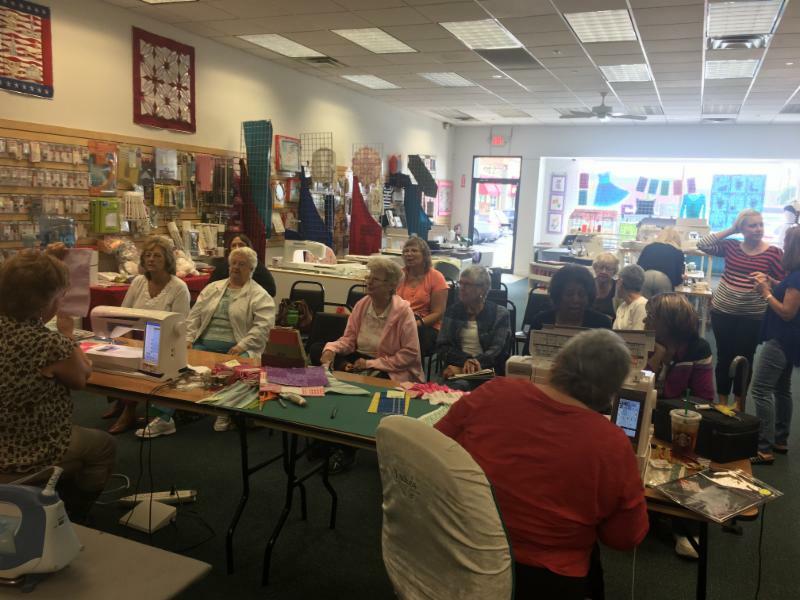 We learned all about the feet that come standard with out machines – as well as many useful specialty feet! 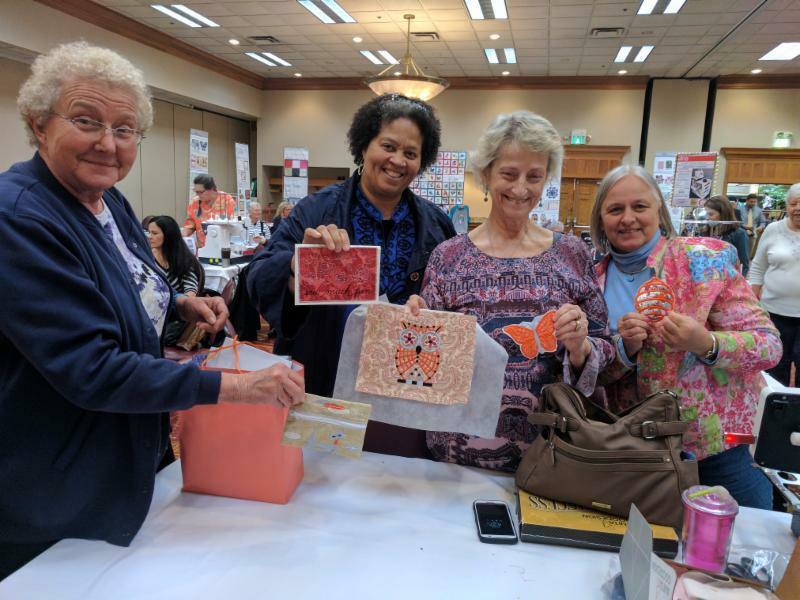 Our educators shared their favorite “must haves” and secret tricks. Stay tuned for our next customer appreciation day! Customer Appreciation Month is in full swing! 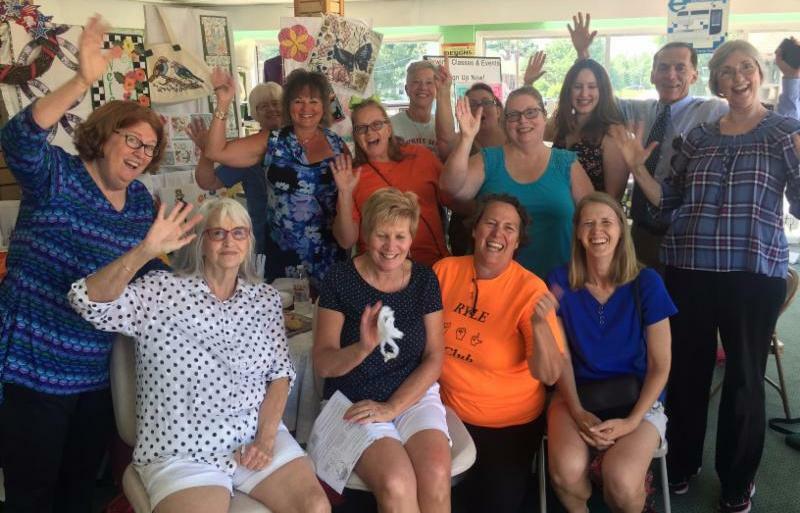 Three Luke’s locations hosted events this past weekend. 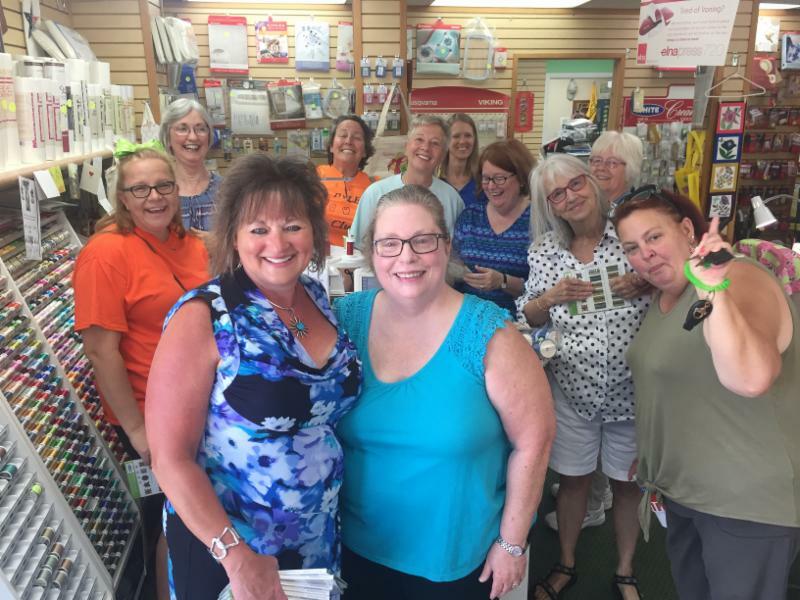 Friday and Saturday were full of fun technique demonstrations, new friends, and great deals – if you missed these – make sure to join in on the fun this upcoming weekend! 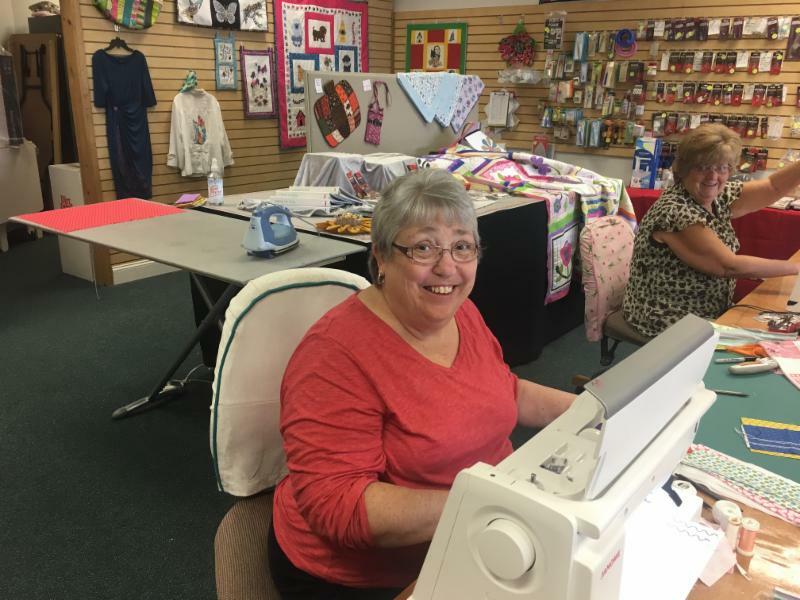 Each Luke’s location had a unique quilting, sewing or embroidery technique to demonstrate and teach over the weekend. 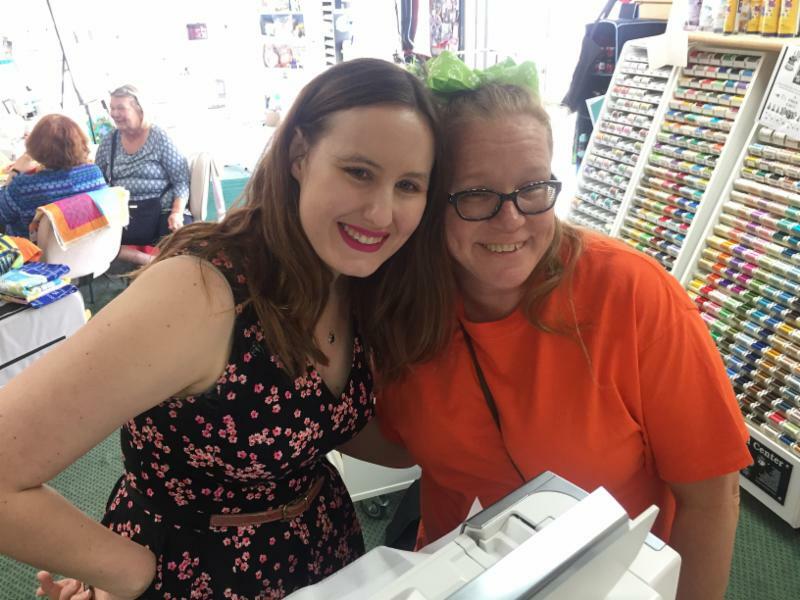 Veronica at Luke’s Elsmere showed us how to “quilt as we go” on the serger and how to make a fun and simple draw string purse. 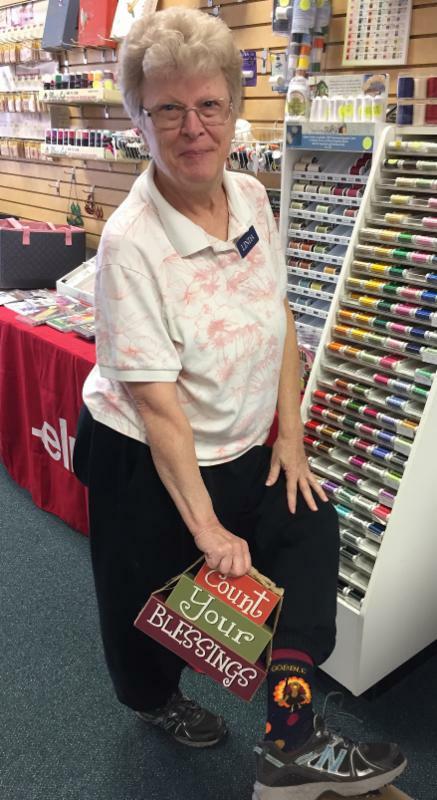 Shannon in Luke’s Green Township also taught us to make a quick and easy pull-string bag. 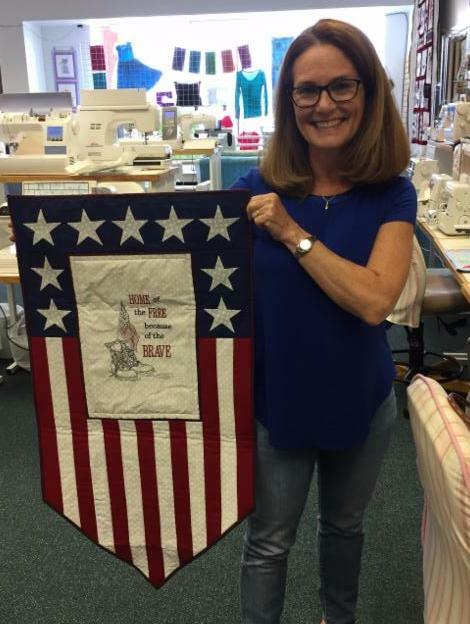 Luke’s Tri County hosted a day of embroidery – showing off in-the-hoop and fold and stitch techniques! There were also fantastic deals all around! All VIP Customers got 30% off club items – including the new extra-wide stabilizers. This is a great time to snag that hoop or specialty foot you’ve been eyeing and save a little bit more than your already great Luke’s VIP Discount! 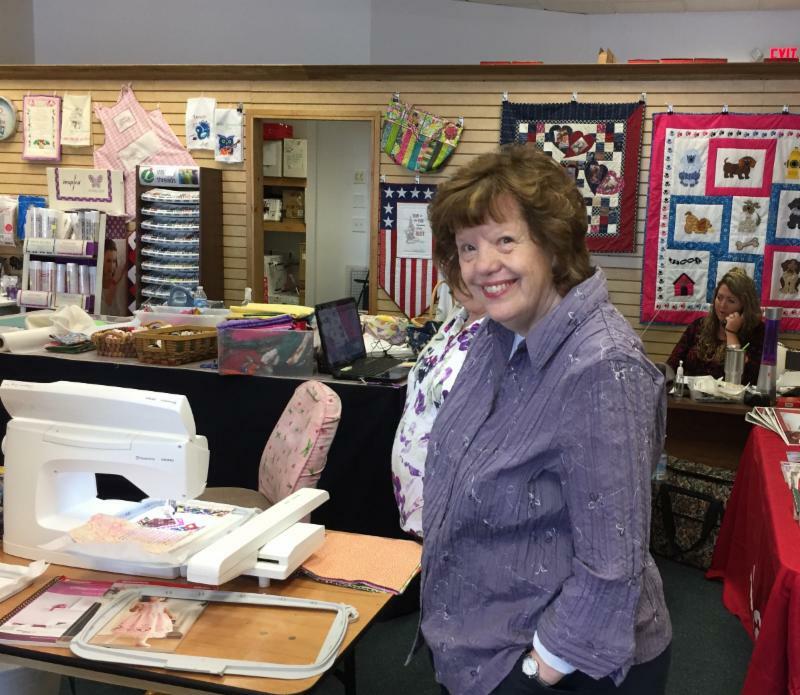 What a great day we had with our good friends: Annette, Karen, Paula, Debbie, Vivian, Pat, Sandy, Connie Nancy, Mary and Ken!Our educator JoAnne shared tips on mitering corners, inserting zippers, and we even made several 10 minute blankets. We laughed, learned a lot, and most importantly had fun! The day was free! The large pretzel tray and roast beef sandwiches were also a huge hit! You won’t want to miss the next one!